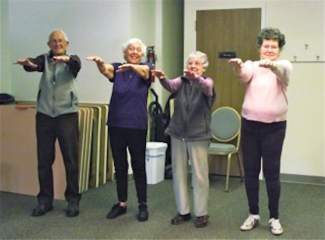 Eagle County Healthy Aging is looking for community members who would be interested in being trained to teach falls prevention classes to older adults in Eagle County. The next training will be held in Glenwood Springs March 3 through 6 and we currently have money to cover the cost of the training. Please call 970-328-8896 to learn more.